I found a great little group of artists in Toronto who have regular life drawing sessions at a lounge in Yorkville called Epique Lounge. It's a neat cozy little venue with neat modern style with a touch of baroque. It was neat to see various styles of art going on at the same time : drawing, painting and sculpture. Some were practicing and others were creating finished pieces. Our model was Paris, who look like he came straight out of the cover of a romance novel. He was really nice and was making sure everyone had the position they needed to complete their piece. The lounge even had artwork from some of the artists on their wall. 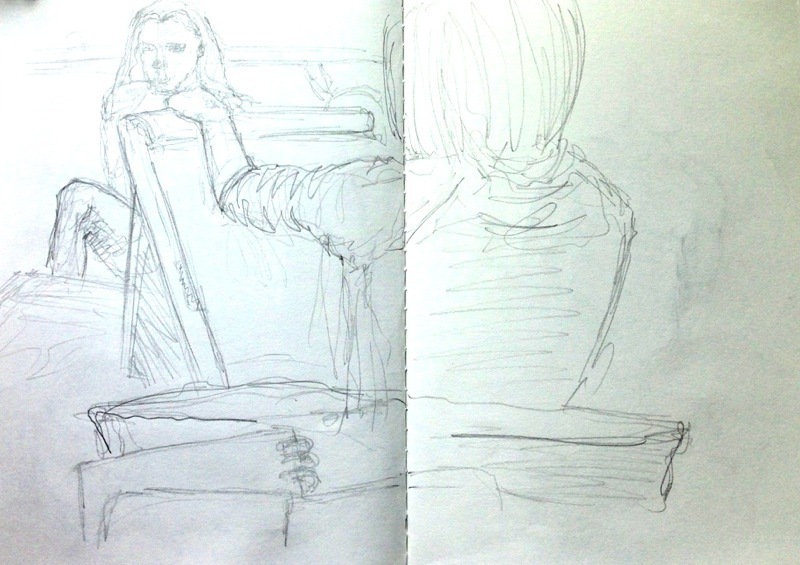 I even "sneak in" a little urban sketching while I was there and met great artists. I'll definitely do this again.